Exipple Studio’s Artificial Intelligence Platform ‘Gestoos’ uses a machine learning mechanism to detect people's behaviour and gestures. Customers can create products that understand human behaviour in specific contexts and enable gestural interactions with physical objects. ProGlove is a smart glove that combines wearable high-technology and the “Internet of Things” to make manual work in manufacturing and logistics more efficient. 3dTrust aims to support companies to better integrate 3D printing into their operations by providing a digital network ensuring the protection of intellectual property and guaranteeing the traceability of the printed parts. Prodsmart is a real-time information system that analyses production lines and job shops in real-time and turns any production plant into a digital smart factory. Green City Solutions created the CityTree, a freestanding 4x3 m unit combining smart sensors with real plants. The construction has the same effect as up to 275 regular urban trees, but requires 99% less space and 90% less investment. 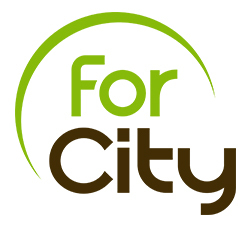 ForCity offers a collaborative platform where public authorities and project owners can visualise and combine their plans for city infrastructures in 4D to simulate their ideas for the city of the future. businesses in order to foster participation, collaboration and transparency. BLITAB® is the world’s first Braille tablet device that creates tactile Braille and graphics for blind and visually impaired people in real-time by using small physical bubbles instead of a screen display, thereby improving the social wellbeing and digital inclusion. 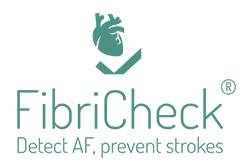 Qompium's application FibriCheck detects cardiovasculararrhythmia's via a smartphone app. Patients only have to place theirfinger for 60 seconds on the camera of their smartphone to detectthe pulse waveform. Amiko is a healthcare technology company that develops innovative integrated solutions that make use of sensor technologies and mobile systems to measure and improve adherence to inhalable, injectable and oral therapies. AOIFES has developed the Cognitive Hotspot™ Technology (CHT) that enhances the spectral efficiency of WiFi systems and increases its performance, while reducing interference levels and power consumption. 3antS' technology detects and eliminates illegal uses of online intellectual property. It follows pirated content and goods online as a crawler, based on machine learning techniques, automatically geo-locating them and forcing their withdrawal. Streamr provides a cloud-based platform that makes it easy for companies and developers to create micro-services that process streaming data in real-time. The process is simple: Data flows in, gets processed as a service, and actions or visualizations come out. 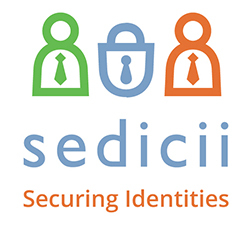 Sedicii eliminates the transmission, storage and exposure of identity data during an authentication or identity verification process. This allows for the secure consumption of digital services in a privacy-preserving manner. The Quasar Digital Cash Solution provides the infrastructure for instant payment and transaction settlement between enterprises, people and the Internet of Things while being compliant with regulations. Cuvva offers a new type of car insurance. People who borrow a car from friends or family can use the mobile application to book a car insurance for a short period of time starting from a single hour to a whole day.